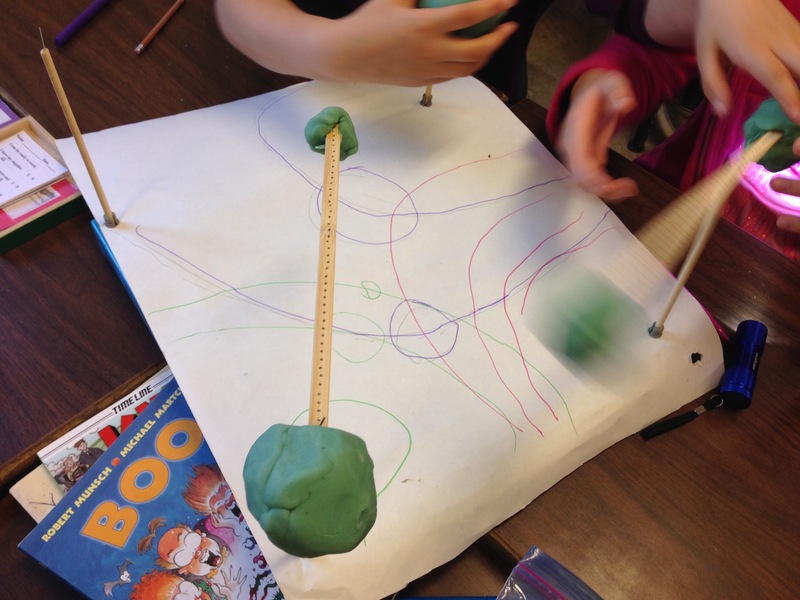 Balance two masses on a stick and spin them around a balance point. Experiment with relative mass size to see how it changes orbit sizes and speeds. Relate to how astronomers find new astronomical objects. 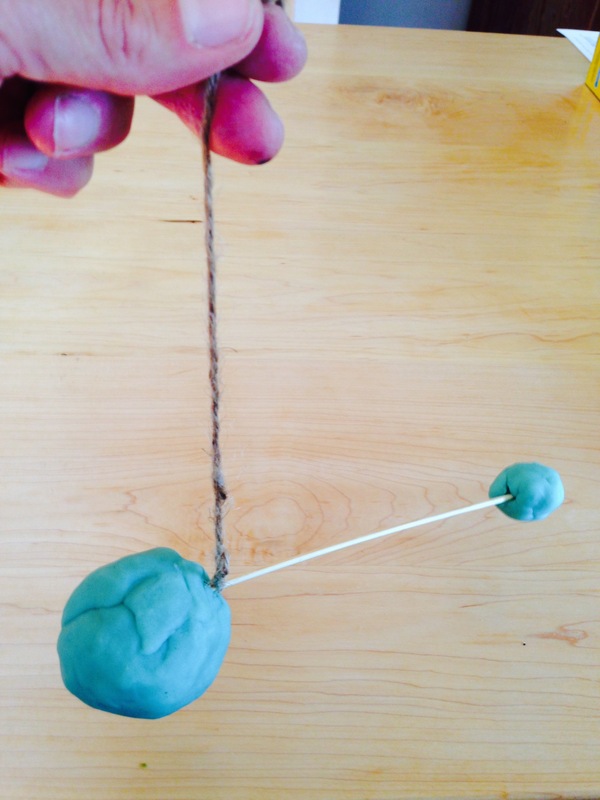 Students model two masses orbiting together. They represent the coupled orbits of two stars (a "binary star system"), or a star orbiting a black hole, or a planet orbiting a star. The movement - the orbit path and speed - of each mass depends on the relative sizes of each object. 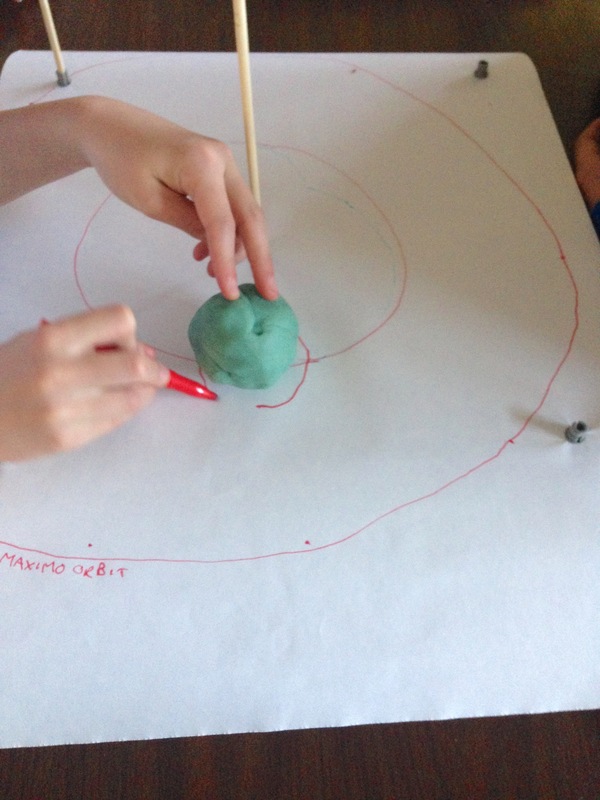 Tell students that they will investigate coupled orbits, to discover how orbits and speeds vary with the masses, and then find out how astronomers study couple orbits to discover objects in the universe. 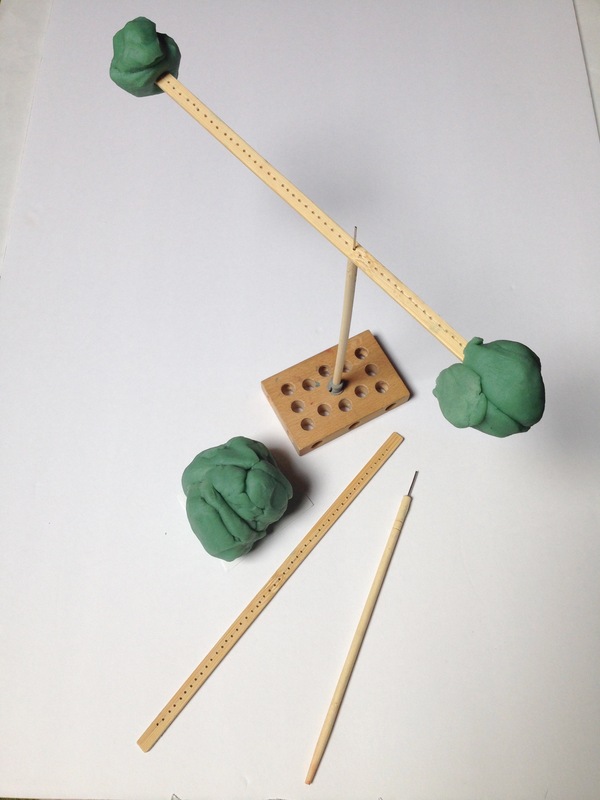 Give students the equipment, ask them to add masses to each end of the skewer. They should try both equal-sized masses, and unevenly-sized masses during their experimentation. They should then make sure the masses are balanced i.e. the skewer is horizontal. For the masses supported by a post they should find the appropriate hole to put the pin through. 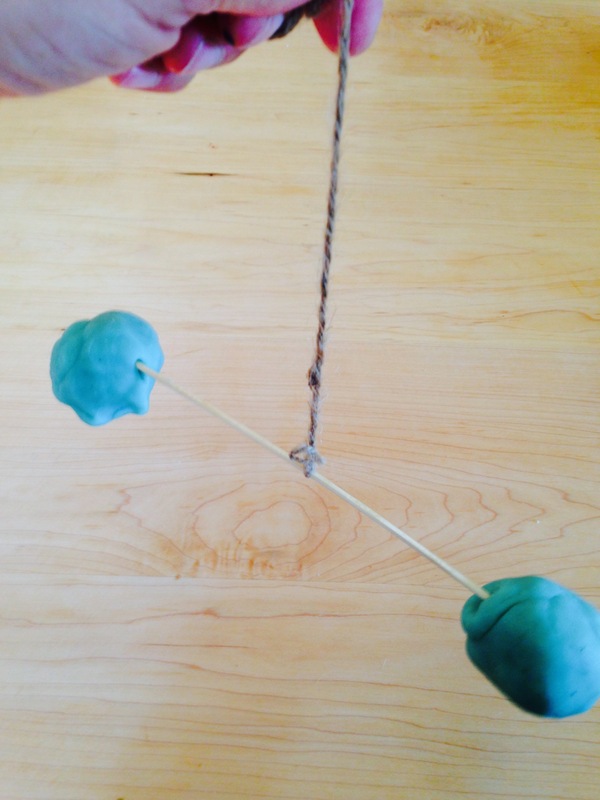 For the masses supported by string they can slide the string along the skewer until the balance point is found. Once the masses are balanced, they can be spun slowly around each other. Students should note the path that each mass takes and the size of its orbit. For the mass on a post, a flashlight can be shone from a fixed point above the spinning masses, and the path of their shadows traced on the paper. 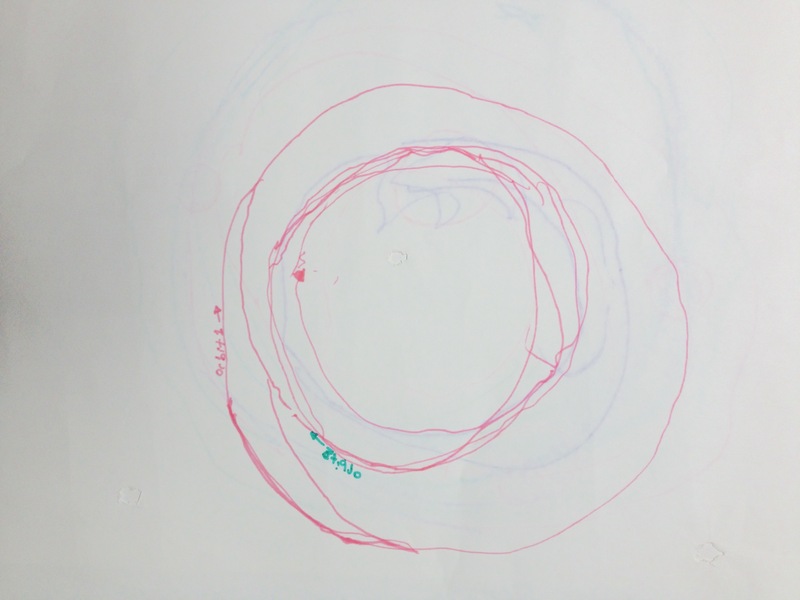 Students may also look at how fast each of the masses move, but the size of the orbit is the most important. They should find that the masses both orbit around the balance point (a small mass does not orbit around a stationary large mass, but they both move around another point). They should find that with unequal masses, the smaller mass has a larger orbit (and moves much faster) than the larger mass. Astronomers study couple orbits to discover new objects in the universe. If they find a star in orbit with an invisible companion, they can measure the size and speed of the star's orbit to figure out the size of the invisible companion, and therefore what it might be. If a star is discovered moving in a large orbit around "nothing", the invisible companion may be a (relatively massive) black hole. The black hole has a huge mass which moves very little, while the orbiting star moves in a large, fast orbit around it. The more massive the black hole, the larger and faster the orbit of the star. 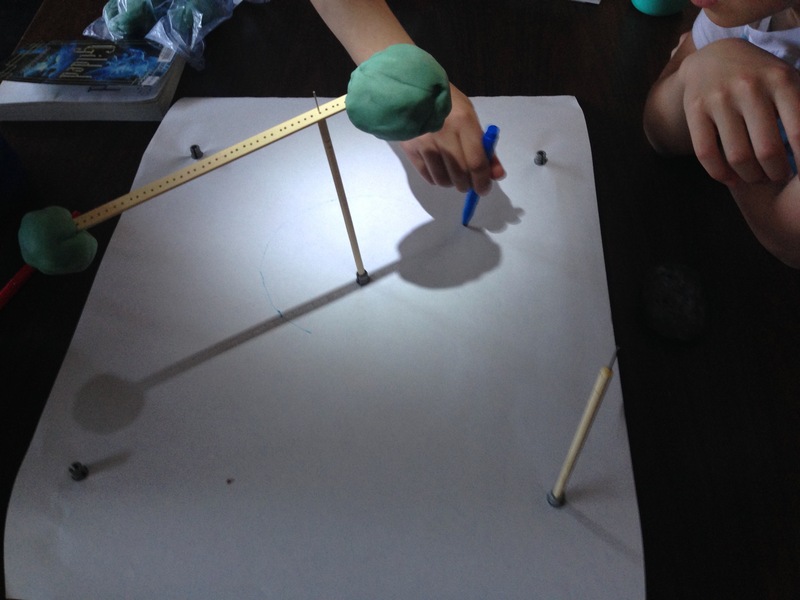 In the students' model, their large mass is the black hole and their small mass is the star. If a star is found to be moving in a small orbit (which will be seen as a "wobble" back and forth), the invisible companion may be a (relatively small) exoplanet with a large orbit around the star, that is too small to see itself. 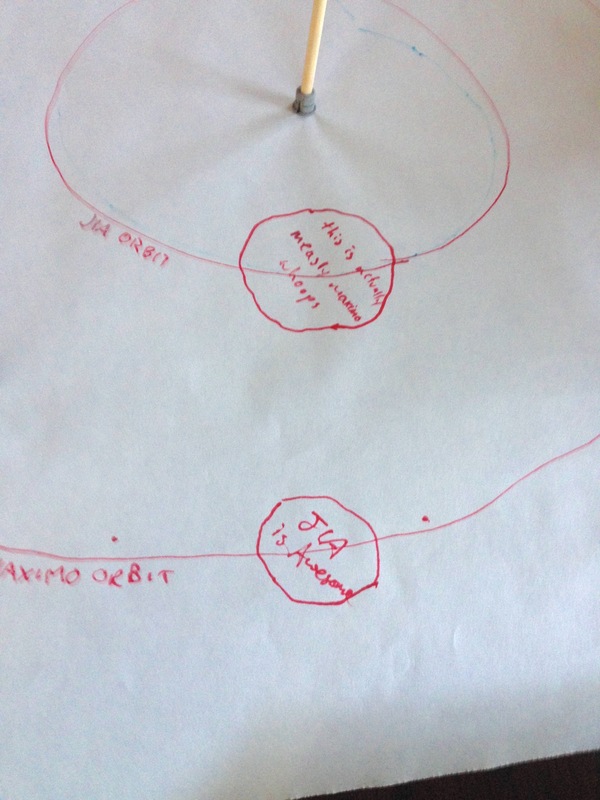 In the students' model, their large mass is the star and their small mass is the exoplanet. Coupled orbits can have more than two objects - our solar system is the coupled orbits of the sun, the planets and other bodies that orbit the sun. Astronomers are searching for "Planet 9" to explain the orbits of the trans-Neptunian objects (objects orbiting the sun beyond Neptune). The apparent location of the barycentre of the solar system cannot be explained by the known objects orbiting the sun, so astronomers are searching for another mass in orbit. One line summary: astronomers use the phenomenon of coupled orbits to discover black holes, exoplanets and new planets in our solar system.